Greetings to all who are interested in LSTs! Wilmon (Bill) W. Worth, Jr., the crew of LST 493, and everyone else who served aboard LSTs throughout the world. While I know Dad would have liked to greet each of you personally and talk about the days onboard the 493, I am greatly saddened to say he passed away August 20, 1998. It is my hope, these pages will bring back good memories of friends and shipmates. And, if you are new to the LST world I hope you will develop an appreciation for the crucial part these ships and crew played in world history. 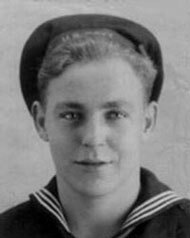 As I continue my research of Dad's World War II Navy service, I have deepened my respect for every person who served during those perilous years. As a Vietnam era Navy veteran, I remember both the good and difficult times of military service. Please take the time to study the information on the following pages and let me know your thoughts. I will be attempting to contact crew members and develop plans for a reunion. If you served on the 493 or had a family member or friend who served, please send an email message to me by clicking on the webmaster link below. As research continues, pages will be added to this site. Please check back often to see new photographs, crew anecdotes, and myriad other details. Special thanks to all of you who have contributed documentation, photographs, newspaper articles, and especially warm conversation about the 493!